Daily chart: ADX is active, so local decrease target is low Bollinger band (1.0786). But I have an opinion that ‘everything ’Но так же есть мнение, что " it's just the beginning". Н4: There are both signals. For bears – low envelopes were broken. For bulls - expressed oscillator convergence. The optimal scenario is a up correction to middle Bollinger band( 1.0972), and then some downward correction is expected to appear. Н1: The pair is overbought at these levels. 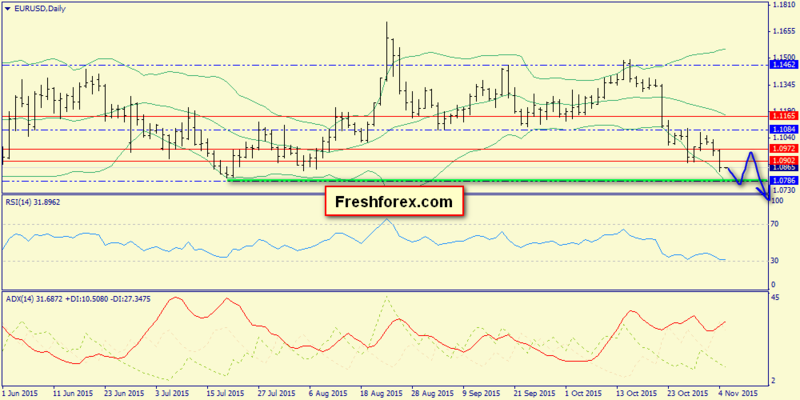 Thus 1.0823 resistance level can increase some demand, but I won't recommend buy orders now. Scenarios: Main – correction to 1.0972 area and then a decline to 1.0786 Alternative – decrease to 1.0823 and then an upward correction Trading solutions: 1) A complex day. Bears have a day pressure, but there is some need of correction. So, it’s difficult to find an entrance. Now this entrance is located at 1.0972. This is 150 points from 1.0823 resistance. But it’s dangerous. As a result – conservatives had better wait for sell at 1.0972 area. 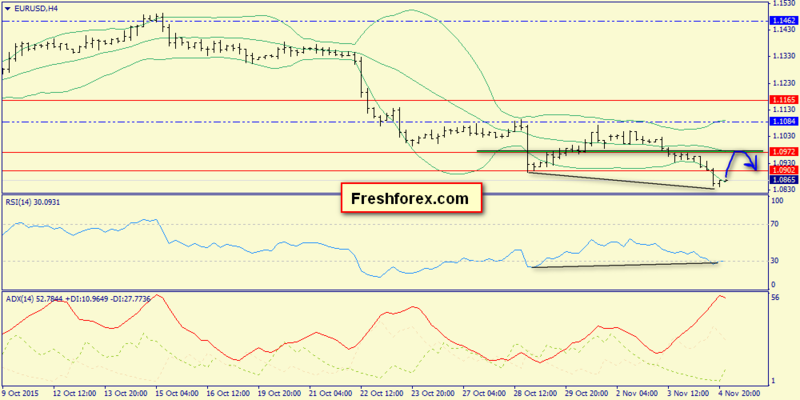 Aggressors can try to sell to 1.0823 and buy from 1.0822 to 1.0972.